Do you love the view of falling snow flakes in winter chill during Christmas holidays season? You can enjoy the same even while working on your Windows computer. With few simple tools and tips you can have falling snow almost anywhere like on Windows desktop, Google Search or on any website being viewed in web browser like Google Chrome. ‘Do a barrel roll’ isn’t the last Google Search easter egg trick. 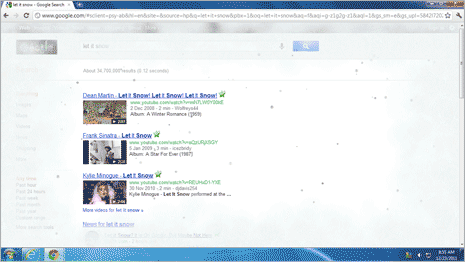 Google Search website also feature falling snow effect – just type Let it snow in search box and press the Enter key. Snow should start falling on the webpage and will keep falling till the whole display turns snowy white. For sure a quick and easy way to visualize snow on computer with internet connection. If you are an offline person and work more on program applications on Windows computer, then you can use small portable tool ‘Desktop Snow OK’ for falling snow flakes and Christmas Balls effect on Windows desktop screen. 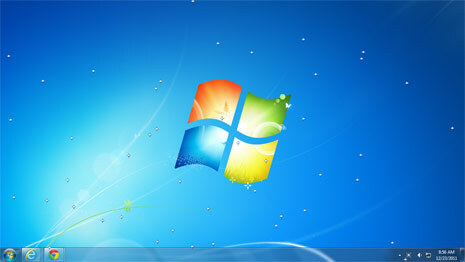 Once you download Desktop Snow OK [via Download Active] software, just launch it to see falling snow. You can customize to show different type of snow flakes and balls with varying transparency and speed. 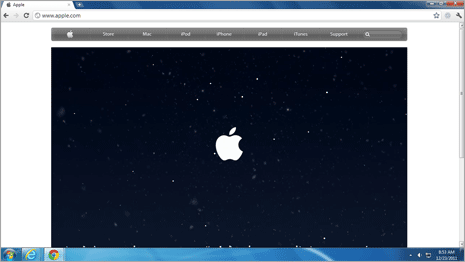 Google Chrome users can download and install Snow extension from Chrome Web Store. After install, refresh opened webpages to see falling snow effect on every webpages that you browse within Google Chrome web browser. Falling snow will change direction automatically and start to deposit at the bottom of screen. If you discover any other easy method of implementing falling snow effect, share with us by adding a comment.